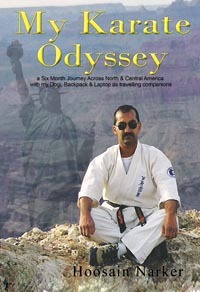 Shugyosha Publications based in South Africa produces quality karate and other martial arts training manuals and dvd's. Shugyosha Publications is a small company which started doing work primarily for Ashihara Karate but since then it has also done work for ShinBudoKai and now other organisations. Most of our publications has been written or prepared by Shihan Hoosain Narker, the Kaicho of Ashihara Karate International with the assistance of many senior instructors in the organisation. Shugyosha has also produced a few DVD’s and has a number of other publications and productions in the pipeline. 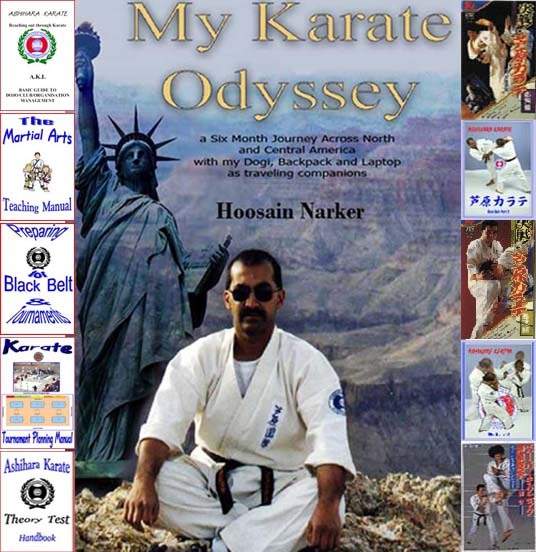 shugyosha, SHUGYOSHA, Shugyosha Publications, books, dvd's video tapes, reference, Karate, ashihara, karate, Ashihara Karate, ashiharakai, ashiharakaikan, self-defence, martial, art, martial art, hoosain, narker, hoosain narker, ashihara fighting karate, aikido, goju, shotokan, wado, kyokushin karate, kyokushinkai, oyama, Mas Oyama, masutatsu, budo, budoka, karateka, kara, te, kara-te, kickboxing, taekwondo, Tae Kwon Do, enshin, Enshinkai, seido, seidokai, kung fu, sabaki challenge, taekwon-do, tae, kwon, do, japan, cape town, south africa, South Africa. Learn and train muay thai in thailand. Are you looking for "playa del carmen mexico"? Check out playa-vacation The passionate experts in this field are ready to answer all of your requests.